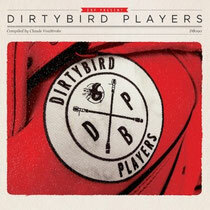 dirtybird is an independent record label from San Francisco. Back in the day, good friends Claude VonStroke and Justin Martin spearheaded a raw bastardized version of house music that placed the emphasis on BBQ fun and booty bass instead of smooth beats and shiny vocals. Nine years later the label is still cranking out some of the most forward thinking party music out there. Tracklisting and Soundcloud sample below, it’s out March 13.